All these blooms are from my Seattle garden and from my local flower farmers! 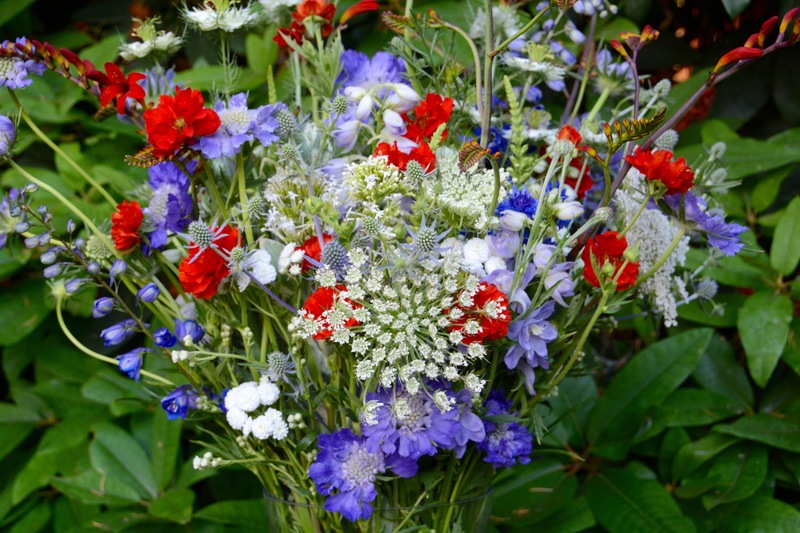 American Flowers Week culminates today on July 4th. Happy Independence Day! 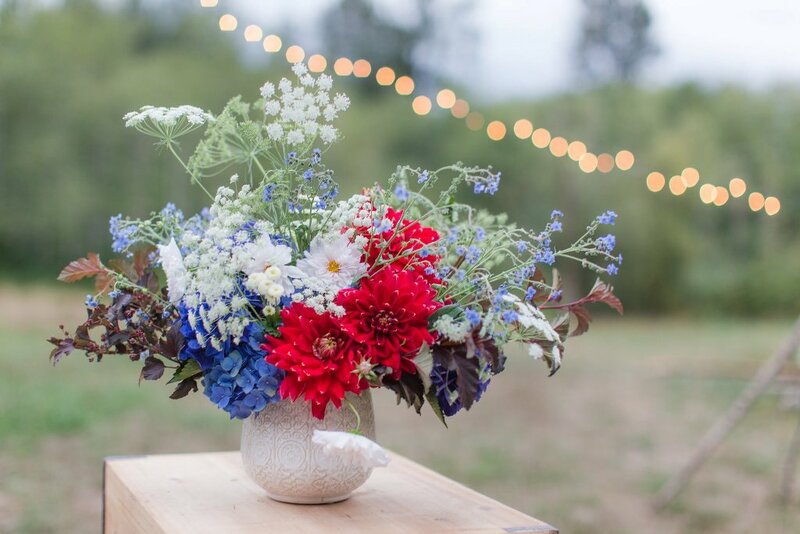 It’s because American Flowers Week allows us to shine the light on our homegrown flowers, the farmers who grow those blooms and the creatives in whose hands the most inspiring bouquets are created. Yes, we’ve seen some crazy-gorgeous images of American grown flowers appear across the social media landscape this week. And no, I had NO idea how many fabulous combinations of red (or reddish), white (or cream) and blue (or purplish) petals and flowers there were. In the hands of the Slowflowers.com community – all are dazzling! What an explosion of inventiveness, intentionality — and INDEPENDENCE! 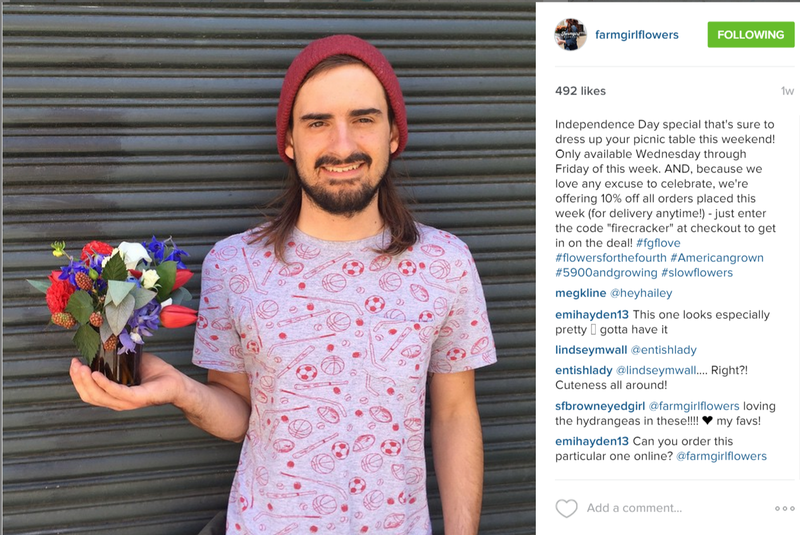 American Flowers Week means we can literally claim our Independence from Imports! Thanks to the suggestion from one of my garden industry friends, I signed up for a hashtag tracking trial with Keyhole.co – [use this link of you want a 3-day trial for your own hashtag project]. 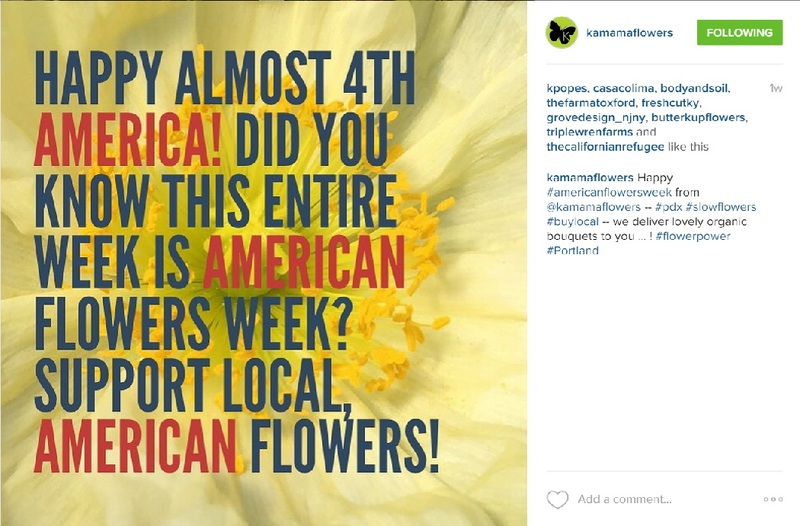 So far, in a single week’s time, #americanflowersweek has reached 339,803 impressions on Twitter and Instagram alone! That’s swell! Just one quick screen grab of the excellent reach #americanflowersweek has enjoyed! 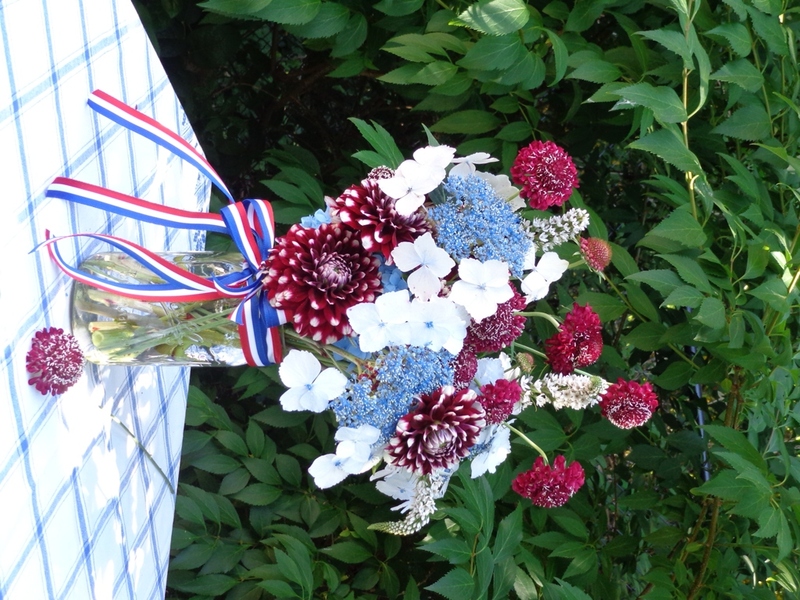 We’re flying the flag today – and I thank each of you for growing those beautiful American flowers, making such visually enticing American bouquets, and sharing, sharing, sharing! Keep it going! Today’s our final day so let’s set off some floral fireworks! Love showing off my garden’s best hydrangeas for American Flowers Week! 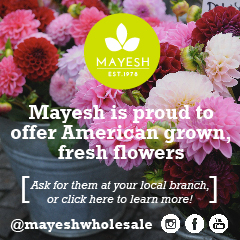 July has arrived and American Flowers Week is in full swing! 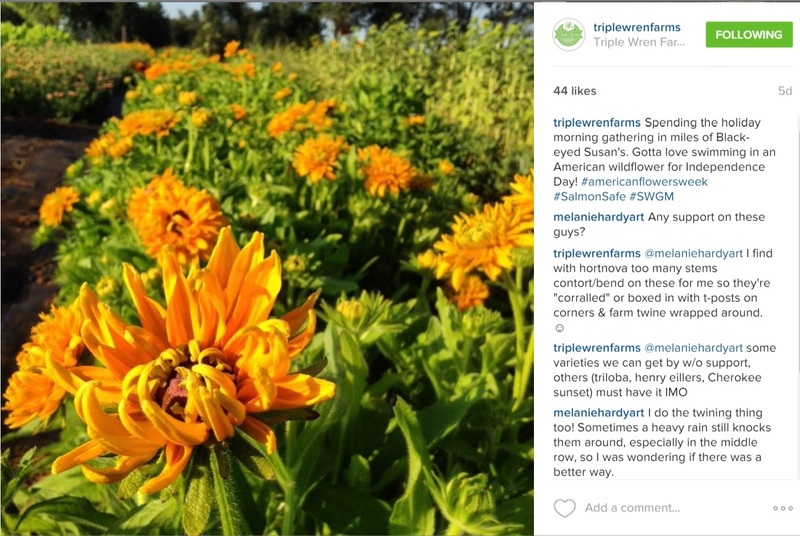 Hundreds of posts featuring the flowers and foliage grown here in the U.S.A. on domestic farms are appearing across social media — as so many proudly share their homegrown blooms. We’ll compile a summary of these amazing “shares” at week’s end. Suffice it to say, I’m overwhelmed with the level of participation for such a grassroots project. 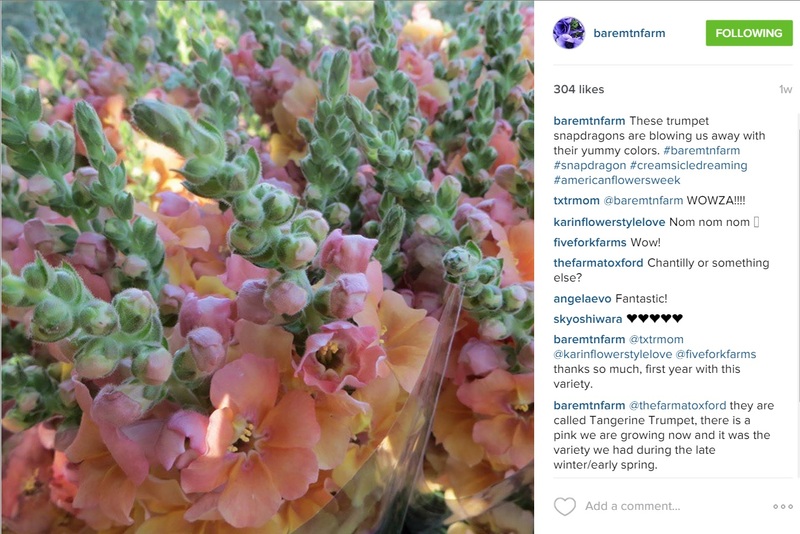 From Farms to Wholesalers; from Design Studios to Grocery Floral Departments – it’s inspiring to see that so many fans of American Grown Flowers are taking photos of their local and seasonal blooms and tagging those images with #americanflowersweek to show allegiance to American Grown Flowers. I’m waving the Thank You flag to each and every one of you! 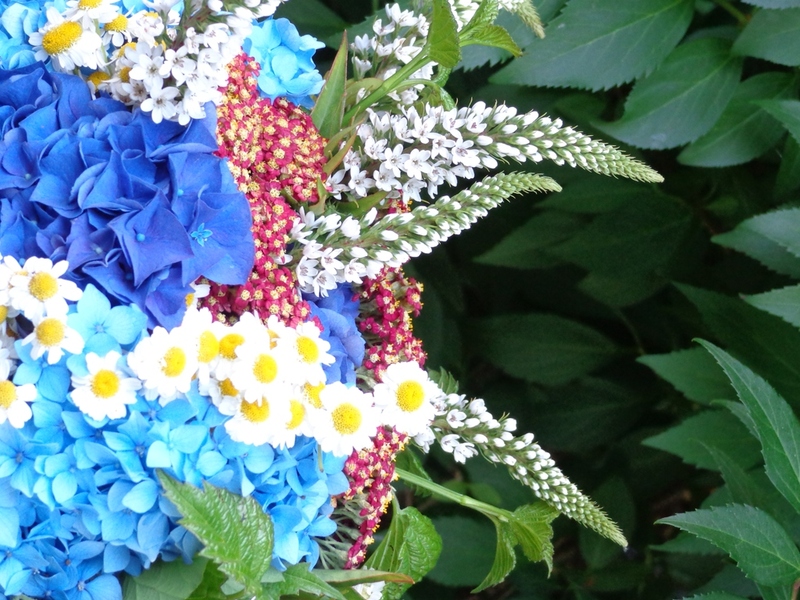 Hydrangeas, light and dark blue; red yarrow; white feverfew; white gooseneck loosestrife; and green raspberry foliage add up to a star-spangled bouquet. Even though I had a major lens failure on my camera this week — the worst possible week to be without my camera — I was determined to share today’s bouquet with you. 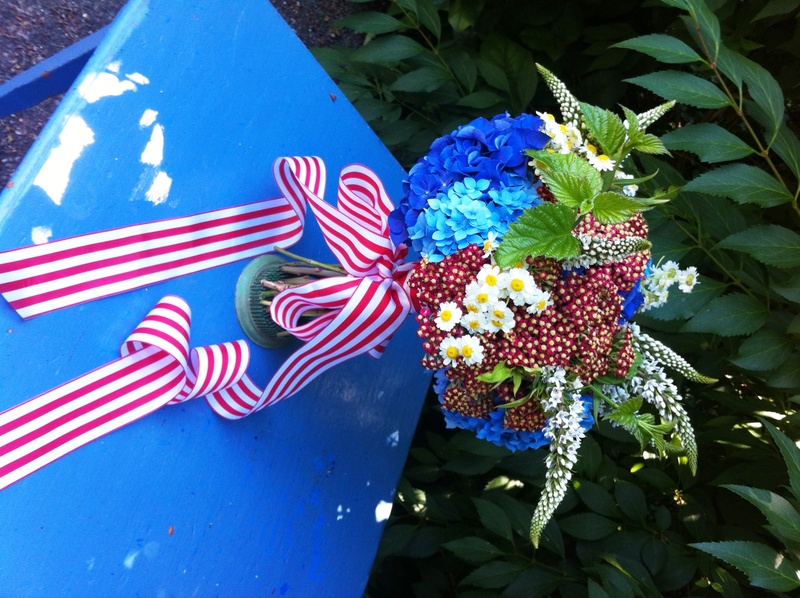 Thankfully, between iPhone shots and a borrowed point-and-shoot, I captured the essence of a red-white-and-blue hand-tied bouquet that I created earlier today. The dark and light blue-toned hydrangeas are straight from my Seattle garden. I cut them late last night and left them outdoors in a bucket of water to cool off until dawn. It has been in the mid-80s this week, so hydrangeas aren’t wildly happy about the climate. But that overnight soak was ideal to revive these lovelies. From All My Thyme (flower farmer Dawn Severin), red yarrow and white feverfew – both cheerfully yellow centered. From Jello Mold Farm (flower farmers Diane Szukovathy and Dennis Westphall), the gooseneck loosestrife and the raspberry foliage. 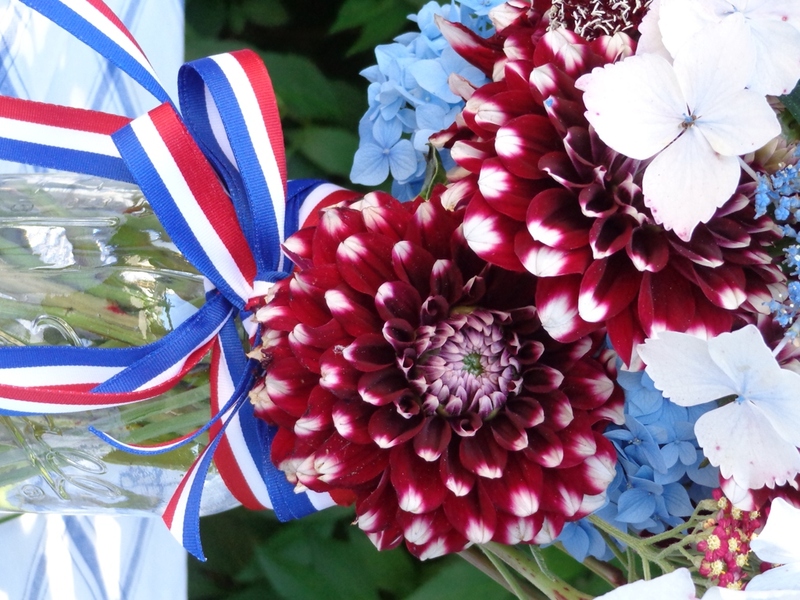 Inspired by the “ribbon” motif that artist Jean Zaputil used to “tie” the charming bouquet on our American Flowers Week logo, I shopped for flag-themed ribbon at Packaging Specialty in Seattle. This bold red-and-white striped grosgrain caught my eye and yards of it finish off this bouquet. 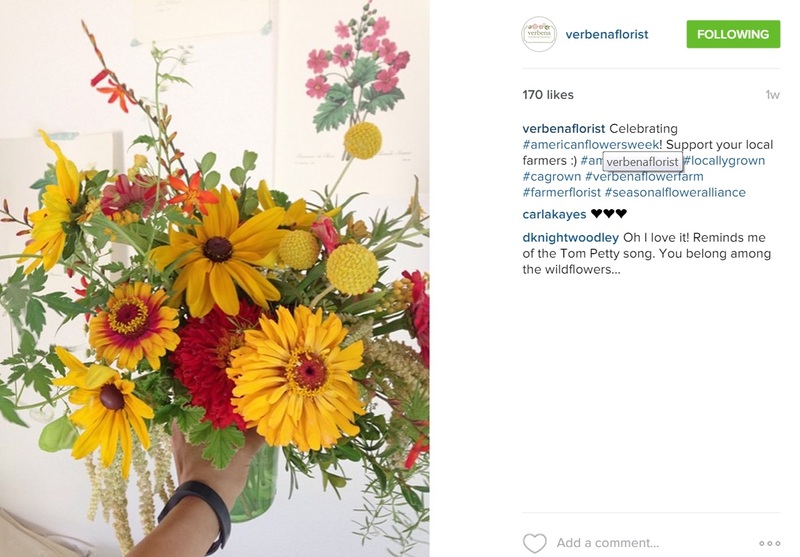 There’s still three more days of American Flowers Week – and you’re invited to join in! Post your photos and share the #americanflowersweek tag. 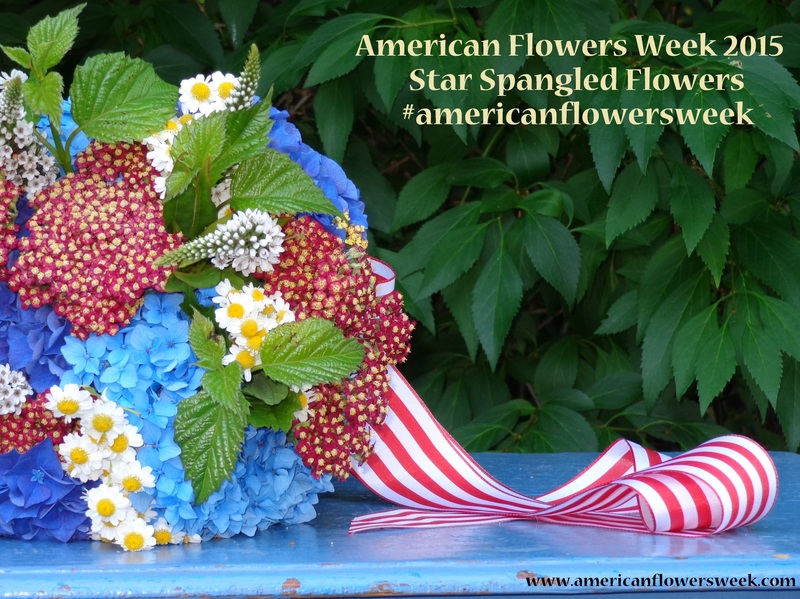 Welcome to American Flowers Week! Today’s the day! 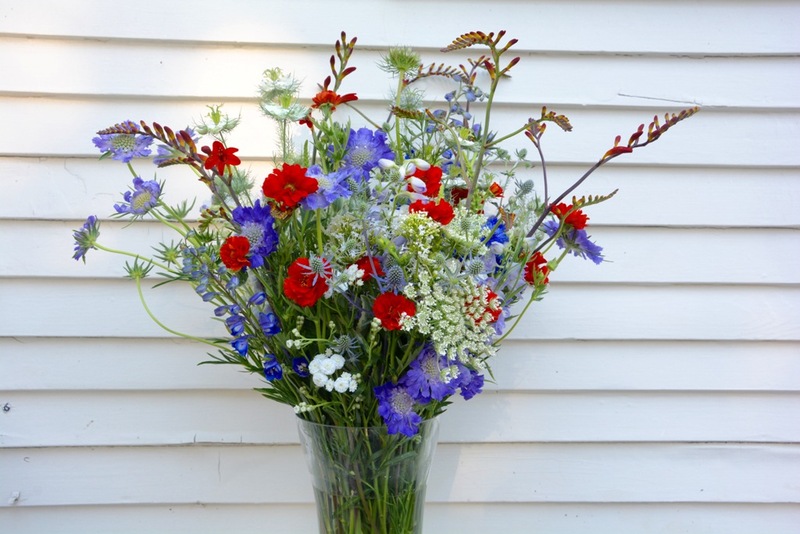 We’re kicking off American Flowers Week and you’re invited to participate! 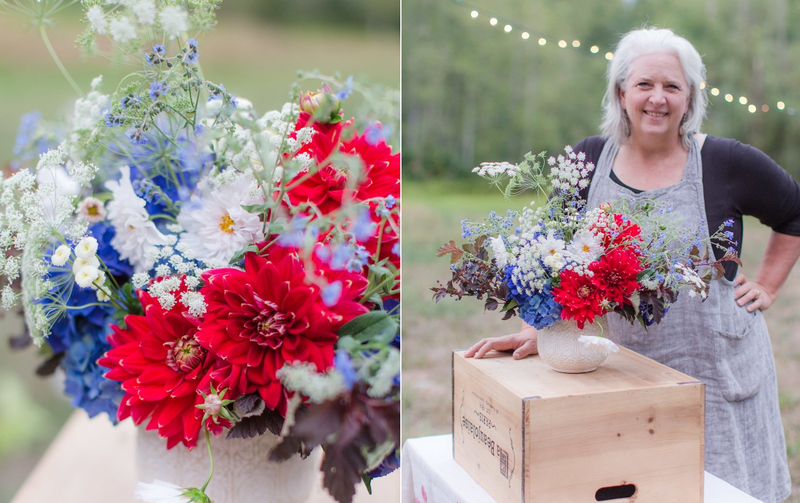 What: American Flowers Week is a week-long celebration of domestic flowers, created to raise consumer awareness and unite America’s flower farmers with the U.S. floral industry. 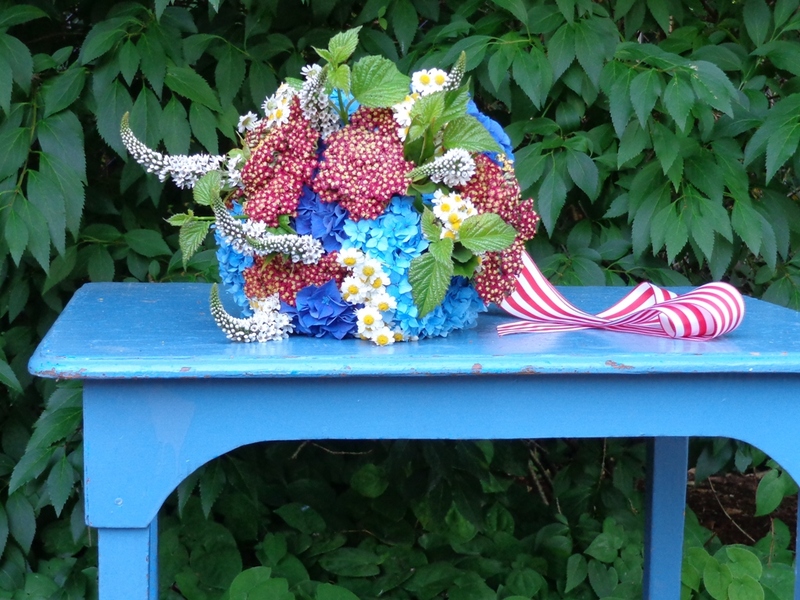 When: The inaugural American Flowers Week takes place June 29-July 4, 2015. In future years, the campaign will always encompass Independence Day. 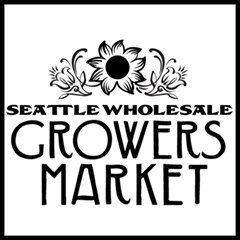 Who: Everyone in the American floriculture industry is invited to participate, including flower farmers, floral wholesalers, floral designers, retailers and floral enthusiasts. Where: In all 50 States. 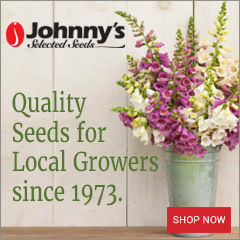 Please visit Slowflowers.com to find flower farmers and floral designers, as well as wholesalers and online sources for American Grown Flowers. 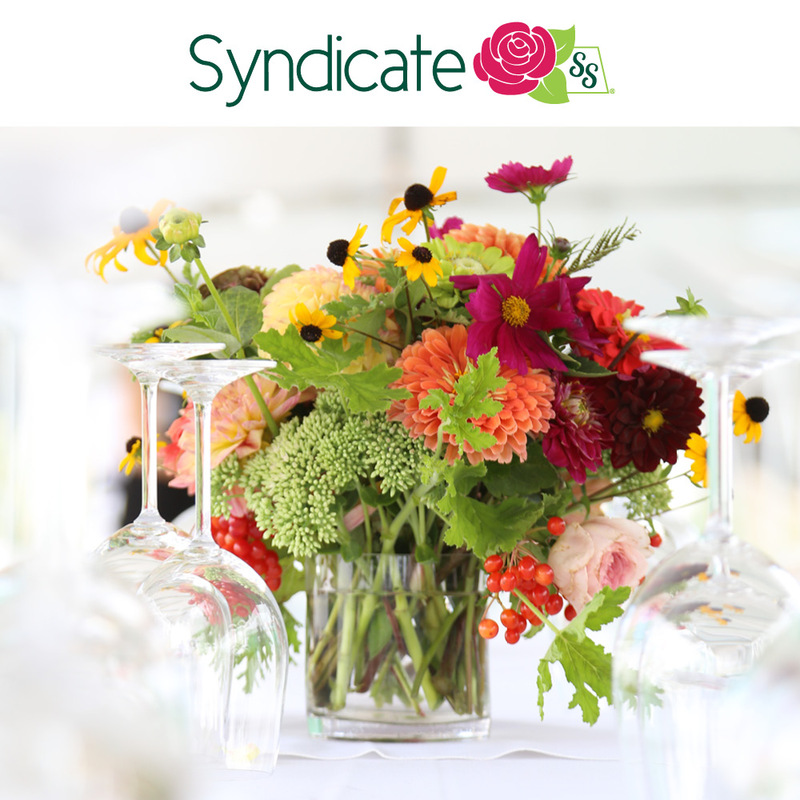 Why: At a time when 80 percent of the flowers sold in the U.S. are imported, we believe this is the essential moment to focus attention on the beauty, quality, sustainability and economic impact of American-grown flowers. How: Get involved! Use the resources provided here at Americanflowersweek.com. Click here for the entire list of flowers included in this bouquet. They were all grown by Charles and Bethany Little of Charles Little & Co., Eugene, OR. If you haven’t joined in, there is plenty of time to get involved. 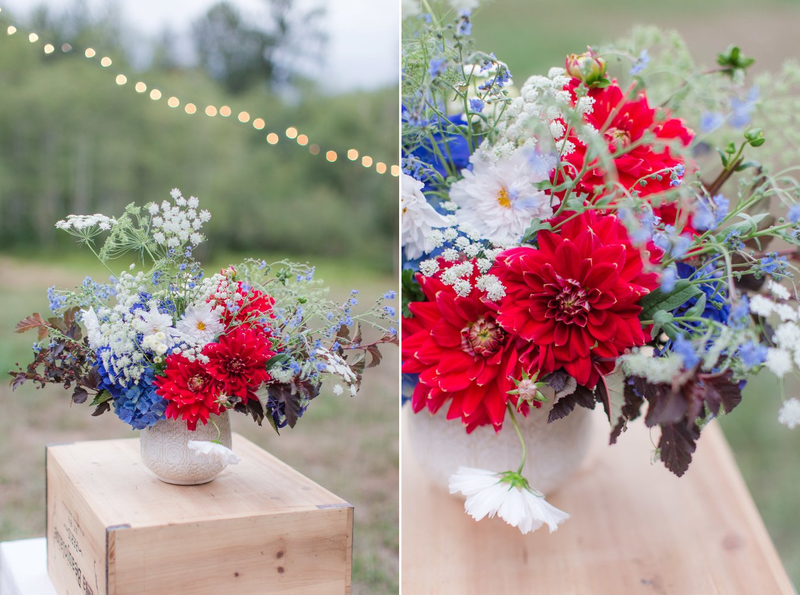 The easiest thing you can do is to make a red-white-and-blue bouquet using all American-grown, local and seasonal blooms. Please post that photo on your social sites and tag #americanflowersweek. This effort will grow from a small idea in 2015 into a significant annual event in the future. By adding your voice (and creativity) to American Flowers Week, you’re helping to sing the praises of our homegrown blooms. 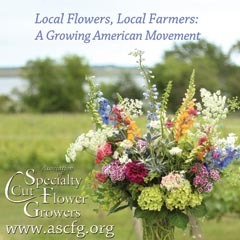 Slowflowers.com creator Debra Prinzing has organized a week-long celebration of domestic flowers to raise consumer awareness and unite America’s flower farmers with the U.S. floral industry. “At a time when 80 percent of the flowers sold in the U.S. are imported, I believe the moment is right to focus attention on the beauty, quality, sustainability and economic impact of American-grown flowers,” she said. Prinzing announced the project’s launch on June 24, 2015, during the one-hundredth episode of the “Slow Flowers Podcast,” which she produces and hosts. 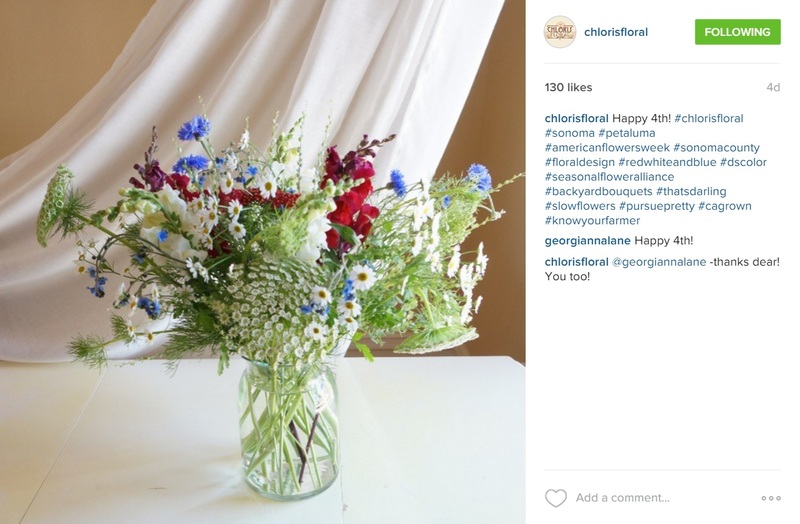 She credited as her inspiration the successful “British Flowers Week,” a similar campaign launched by London’s New Covent Garden Flower Market in 2013. American Flowers Week supporters can find more information and resources at a newly-launched web site – americanflowersweek.com. 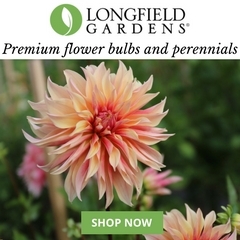 Downloadable fact sheets, infographics and the 2015 American Flowers Week logo are available for growers and florists to use for their own marketing and promotion efforts. Participants are encouraged to use the social media hash-tag #Americanflowersweek to help spread the word about this campaign across all platforms. 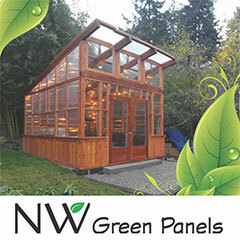 About Debra Prinzing: Slowflowers.com founder Debra Prinzing is a Seattle-based outdoor-living expert who writes and lectures on gardens and home design. She is the leading advocate for a sustainable and local approach to floral design and is credited with popularizing the term “Slow Flowers.” Debra is the author of 10 books including Slow Flowers and The 50 Mile Bouquet (both by St. Lynn’s Press) and she is the producer/host of the weekly “Slow Flowers Podcast with Debra Prinzing,” found on ITunes and debraprinzing.com. We couldn’t be more thrilled to unveil the very special American Flowers Week logo, a visual expression of flower farming, floral design and Americana. Slowflowers.com commissioned the artwork from Iowa illustrator Jean Zaputil. I woke up at 5 a.m. and ideas popped into my head. 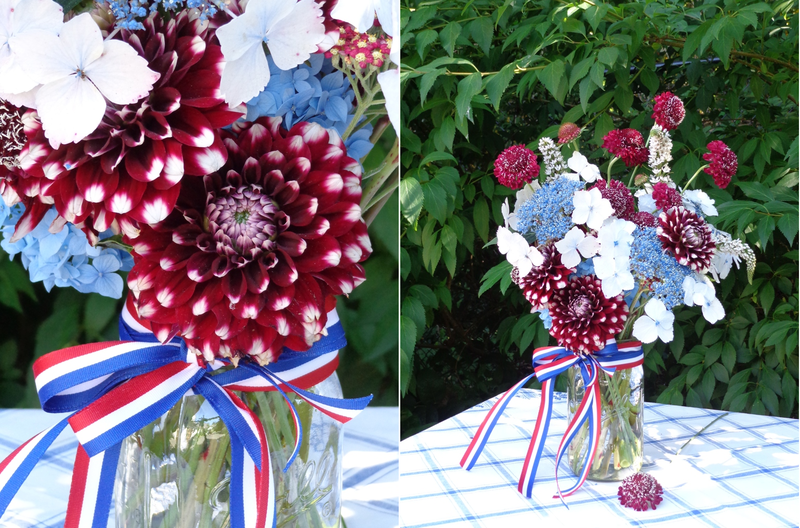 The first one was a bunch of beautifully painted flowers tied with an Americana ribbon. The results of Jean’s creativity achieve all that we wished for! Please visit our download page to use and share on your own Social Platforms, Web site or Marketing Material. Don’t forget to use #AmericanFlowersWeek to help us track impressions as we raise awareness for American-grown flowers! To commemorate the 100th episode of the Slow Flowers Podcast, we’re launching a very cool and I believe significant week-long education and outreach campaign that will kick off Monday, June 29th and run through Saturday, July 4th. Inspired by British Flowers Week, which was the subject of two podcast episodes earlier this month, the Slow Flowers Podcast and the Slowflowers.com online directory present AMERICAN FLOWERS WEEK. 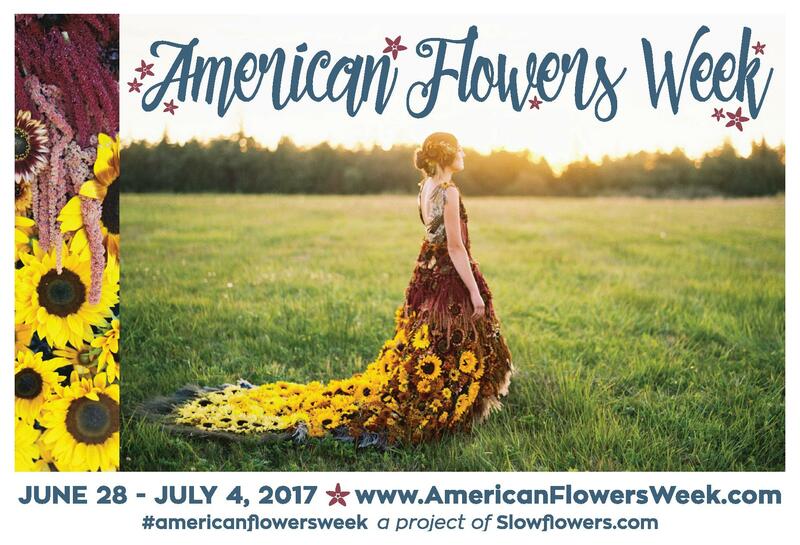 Since this is our first year, American Flowers Week will rely on grassroots efforts of everyone who hears about it to spread the news. In future years, we expect to bring more partners into the campaign and spread the news widely throughout the media, industry, and at the consumer level. Please join me – as I always say – in the conversation and in the creative community. Stay tuned for more news – coming soon!